We love building our games. It's a passion for us, and we try to build each game with the level of care and quality that we would want when playing a game. Hope you enjoy! 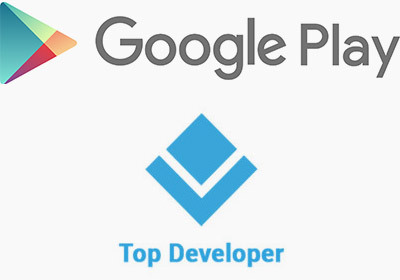 We've received the coveted "Top Developer" badge from Google! Thanks so much Google for the badge and all of you fans that made this happen! We couldn't have done it without you! Syntaxity on Facebook. Follow Us! Stay up-to-date about our new apps and games! Copyright © 2018 Syntaxity Inc.